Psoriatic arthritis (PsA) is associated with an increased risk of cardiovascular morbidity and mortality. The increase in cardiovascular risk evaluated in a meta-analysis on PsA was around 43% for cardiovascular diseases, independently from traditional cardiovascular risk factors. Higher disease activity has been associated with increased rates of mortality. There is limited data on comprehensive nationwide analysis of inpatient mortality in patients admitted for acute myocardial infarction (AMI) with underlying PsA. Our objectives are to describe the demographics & mortality trends for hospitalized patients with AMI with underlying PsA and understand the factors associated with mortality. All adult (>18 years) hospitalized patients between 2010 and 2014 from a nationwide inpatient sample (NIS) database were captured. ICD-9 CM codes were used to identify patients with AMI and PsA. NIS is the largest all-payer inpatient care database in the United States with approximately 8 million hospitalizations each year. Descriptive statistics were represented as means/medians for continuous and as frequencies and percentages for categorical variables. A survey weighted logistic regression model was used to describe inpatient mortality. Polachek A et al. Arthritis Care Res (Hoboken). 2017 Jan;69(1):67-74. doi: 10.1002/acr.22926. PubMed PMID: 27111228. Disclosure: S. Jatwani, None; K. Chugh, None; K. Jatwani, None; V. Modi, None; J. Kaur, None. Jatwani S, Chugh K, Jatwani K, Modi V, Kaur J. A 5-Year National Trend in Acute Myocardial Infarctionamong Hospitalized Patients with Psoriatic Arthritis: Data from National Inpatient Sample [abstract]. Arthritis Rheumatol. 2018; 70 (suppl 10). 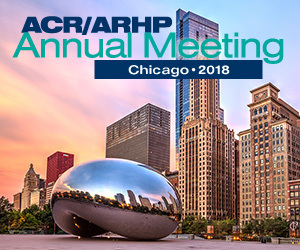 https://acrabstracts.org/abstract/a-5-year-national-trend-in-acute-myocardial-infarctionamong-hospitalized-patients-with-psoriatic-arthritis-data-from-national-inpatient-sample/. Accessed April 19, 2019.